Using parallel processors to compile speeds up build time. The following steps demonstrate how to select "Use parallel make" option. By selecting "Use parallel make", "make" will execute several processes at a time, where -j (or —jobs) is the option to run in parallel and 2n is the number of processes, where n is the number of processors available on your computer. If your computer does not support parallel processing, parallel make will be disabled. 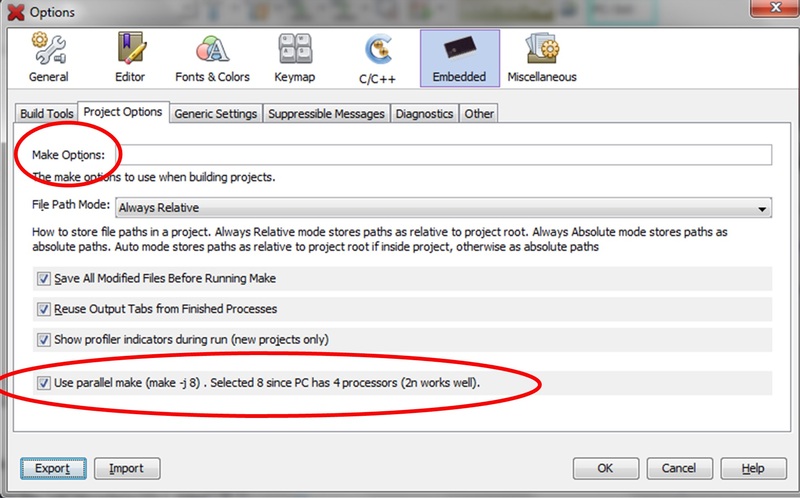 If you wish, you can specify more processes by using “Make Options”. Example: -j 10. MPASM™ cannot run under parallel make, either as a toolchain or part of an MPLAB® C18 project. The parallel make option is therefore ignored in projects using MPASM™ toolchain or in projects using the C18 toolchain that contain at least one .asm file.